Most people hear "adidas" and think of Kanye West's Yeezy Boosts, but the brand's lineup of dope kicks isn't limited to the rapper's shoes. 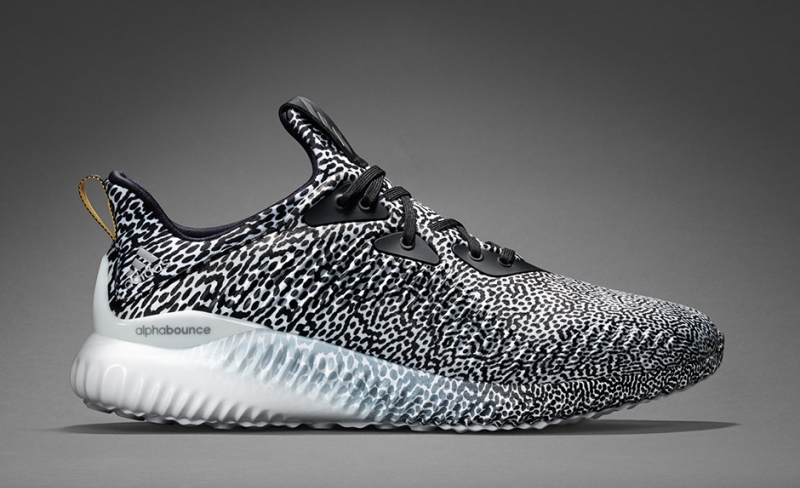 The Adidas AlphaBounce model is a perfect example. This "Motion Capture" pair utilizes an all over print, which even extends down to the front of the sole. A gradient effect allows white to work the back end of the shoe's sole.